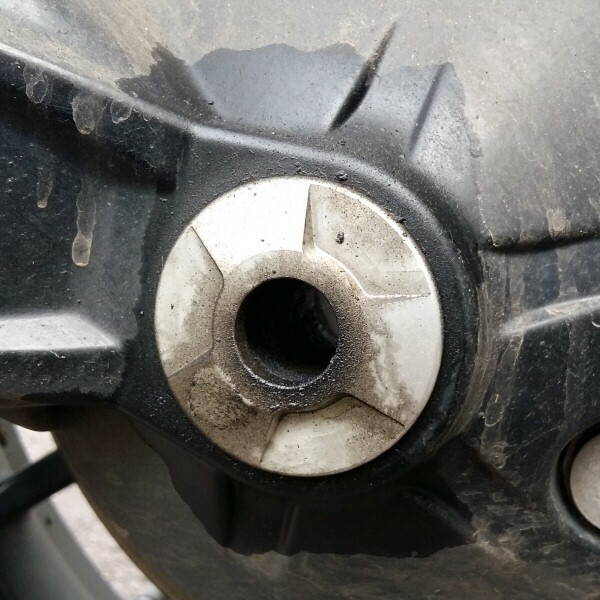 I've just got back from a two up gentle jaunt to the seaside, when i got off at home I noticed the back tyre on the swingarm side and the final drive covered in oil. I initially thought one of the fill/drain bolts on the final drive had worked loose and dumped the oil, on closer inspection they seem perfectly tight. I've removed the back wheel and there is a lot of oil inside the final drive where the wheel spindle would be if there were one. 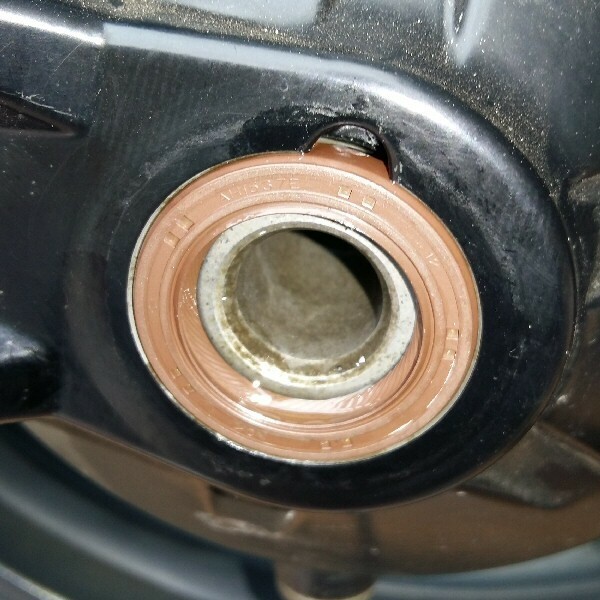 There must be an oil seal inside there, can anyone talk me through what may be going on and is this a DIY fix? The last few turnings to get me home were all left handers (where the oil was) how bloody lucky was I not to come off!! Several threads on a similar topic. I'll dig out and post some photos when at my PC tomorrow. I'd appreciate that T800XC thanks. I couldn't find decent photos of the final solution, so I've added a couple of original photos of the leaking seal plus some drawings of what I ended up using to remove and refit the seal. At this point the seal has to be VERY CAREFULLY pushed home. The following images show a nylon 'drift' that I made to help ensure that the seal goes into position as straight as possible. 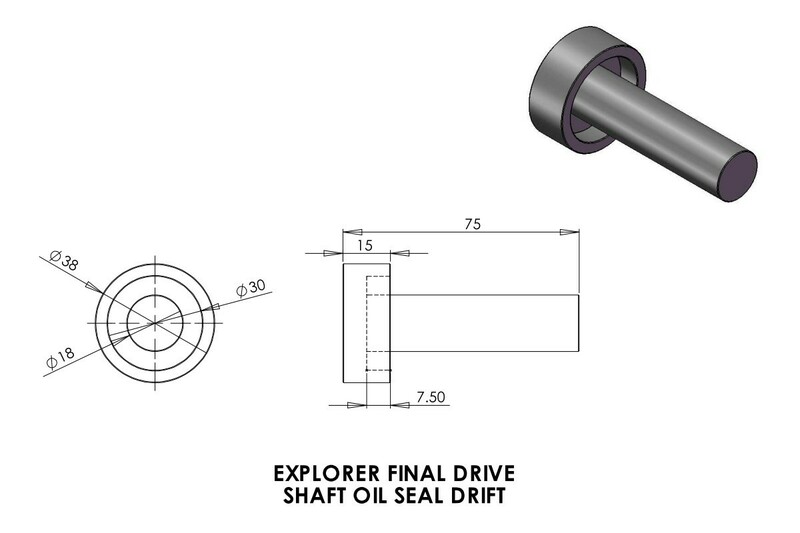 The long shaft on the drift inserts into the centre of the final drive. A rubber mallet is used on the back end of the drift to gently tap the seal into position. Tremendously useful. Pictures really help. 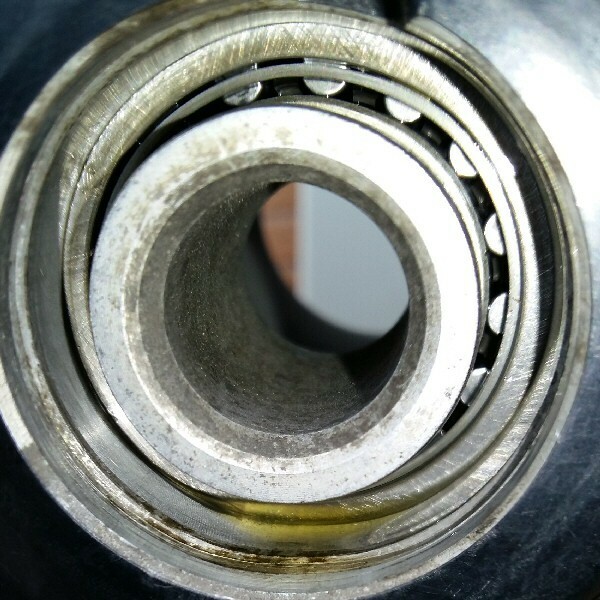 I take it that the bearing itself was ok? 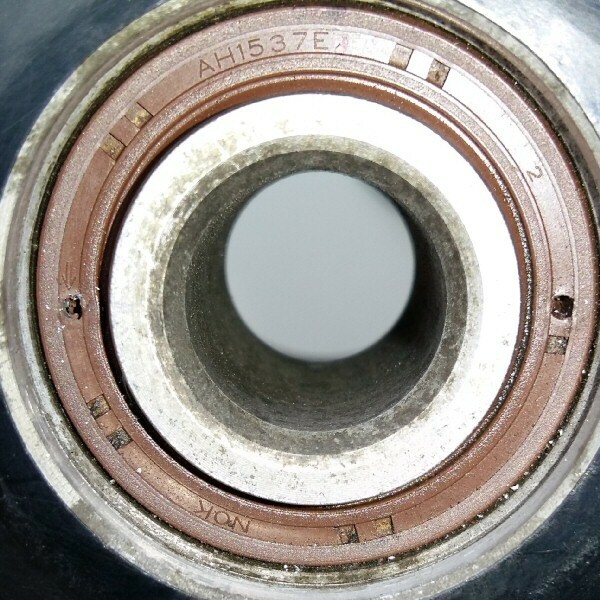 Very often the cause of seal failure is movement in the shaft or bearing causing excessive flex in the seal material. Sometimes it's age just hardening them. Do you think it's worthwhile making some caps to block the central hole through the middle? Does grit and grot get onto the seal through there? Thats really useful. Thanks for taking the time to post them. I don't have a lathe but I'm quite sure i can make something work. 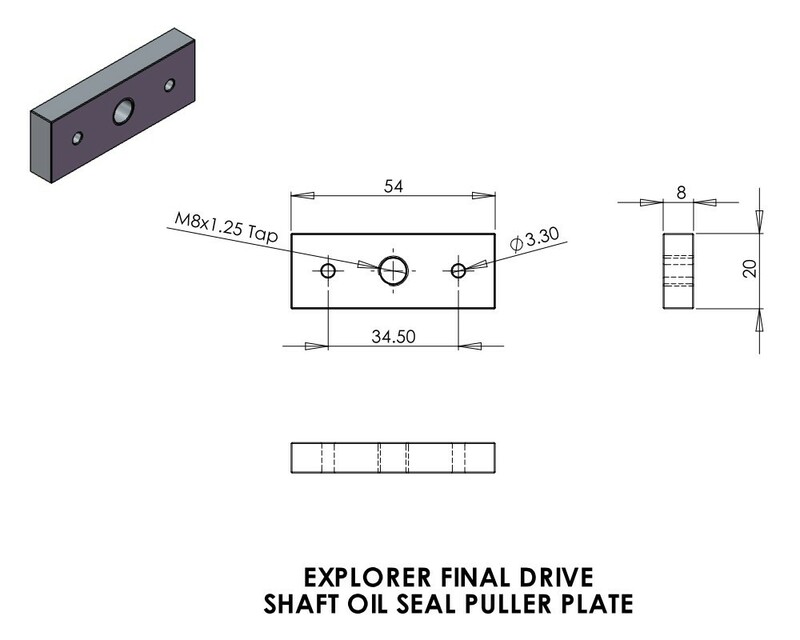 i've ordered one 22mm and one 60mm blanking cap to seal off both ends of the shaft afterwards. Found the seals on amazon. 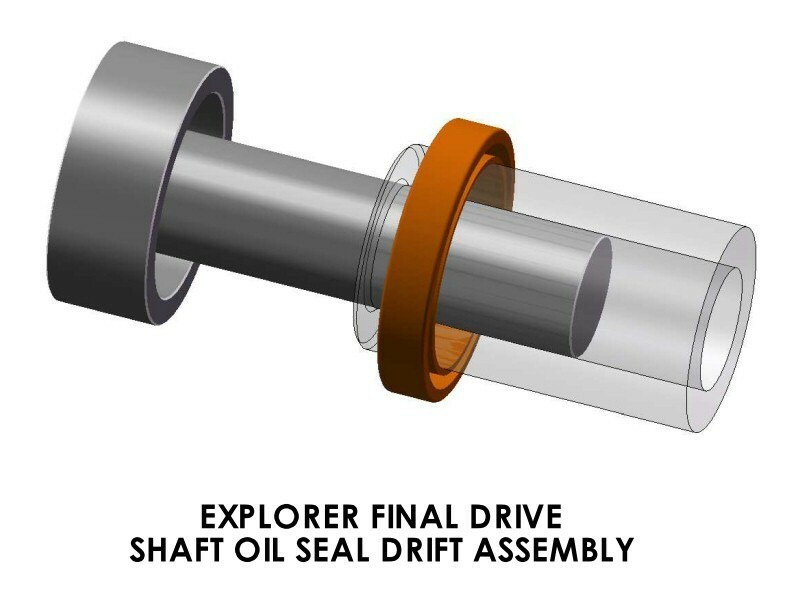 I've also just noticed a small well of oil in between the spindle and aluminium outer plate and although its not spilling out yet I'm sure it will be only a matter of time. Have you given any thought, as you seem to have the skill, of making another set of "specialist tools" and selling them? or even lending them out. I would be interested. 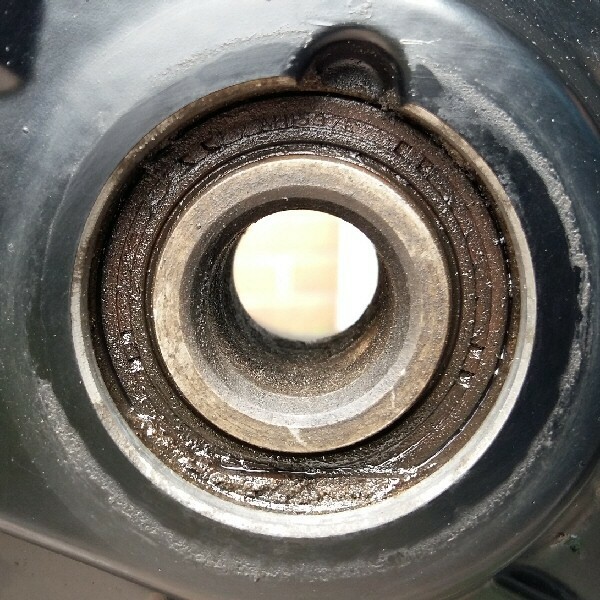 ...I take it that the bearing itself was ok? Yes the bearing seemed fine and yes I've fitted blanking caps to block the central hole on both the L & R sides. 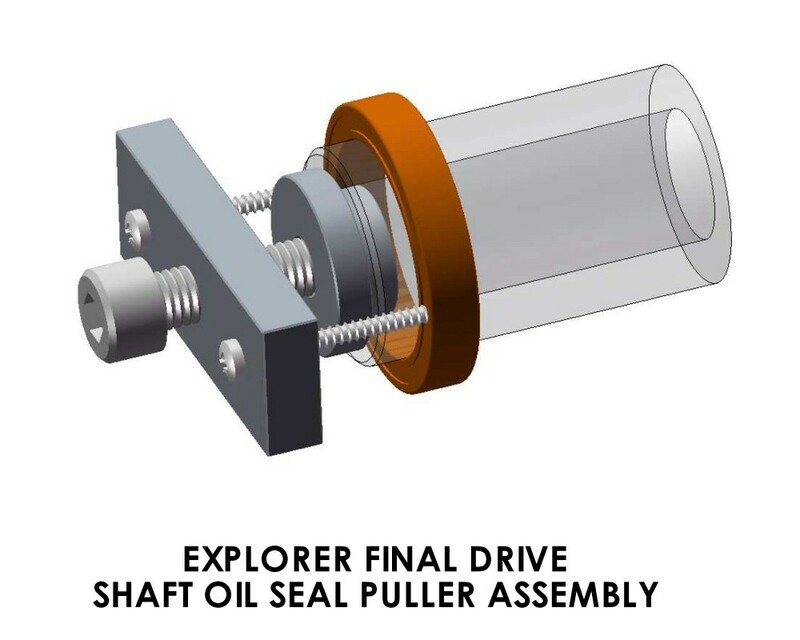 My feeling is that crud found it's way in between the aluminium plate and the shaft and so built up over a period of time. You can see in my second photo above how much crap was in there. I have a Seal Doctor that I use to clean out the seal on my front forks to prevent them leaking (as they did last year). Having replaced a couple of final drive seals I reckon something similar could be used for periodic maintenance to clean them out. Maybe some thin shim or photo negative material or even the tip of a very small cable tie. 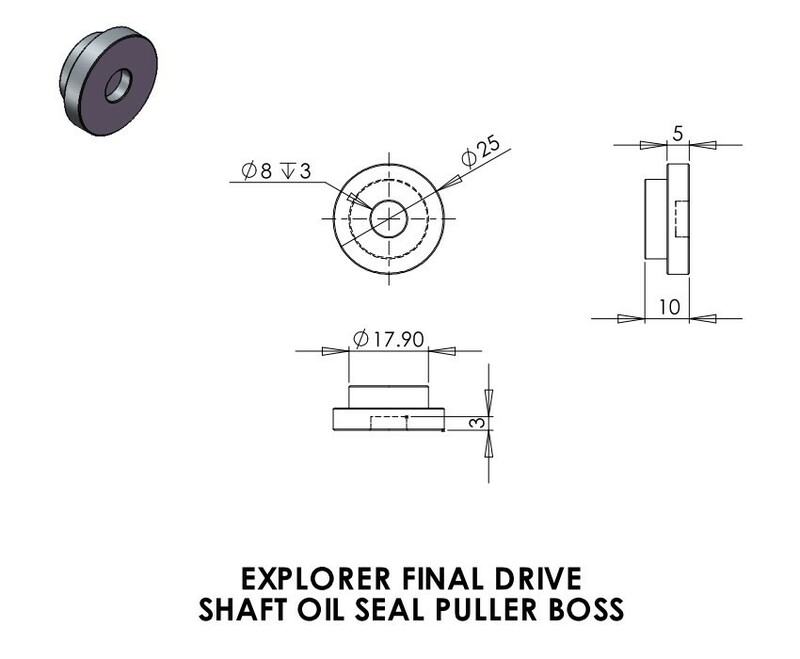 On later Explorer models I think they changed the central shaft to extend it further outwards. I assume this was to help prevent crud getting in there. ...Have you given any thought, as you seem to have the skill, of making another set of "specialist tools" and selling them? or even lending them out. I would be interested. Haven't given this much thought but could be open to the idea.